Who is building the next Google? Back in 1998 when Google just got started its goal of becoming the next big search engine seemed ridiculous. All they had was an improved search algorithm. Yahoo, the then dominant search engine, was a multi billion dollar behemoth with hundreds of millions of active users. Google was just two guys, in a dorm, with an idea. If I were to have told you that I knew two guys who were planning on launching a new search engine which would replace Google within 5 years I don’t think you would believe me. Would you? Looking at history however we should know that big companies get replaced by small companies all the time, right? 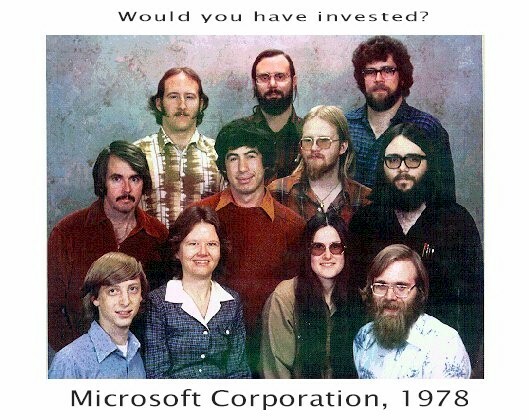 Microsoft was a very small company once, and it challenged IBM. Amazon challenged Barnes & Nobles and Virgin challenged, well, everybody. Unfortunately I don’t know those two guys with a plan to overtake the search engine market. Do you? Would you give them some money? What would it take to build the next search engine? I don’t know the answer but I’m sure that in 10 years we will look back and will seem obvious in hindsight. Read next: PressDoc gets a slick new feature to keep you up to date with press releases.